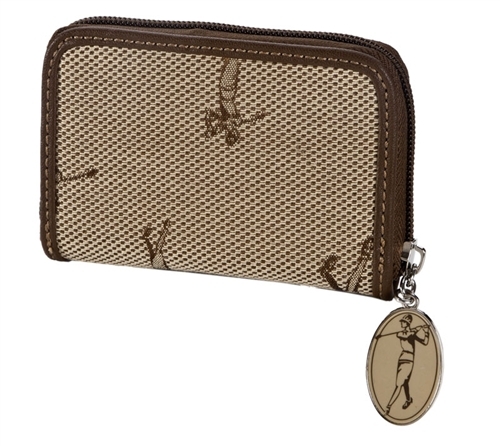 Zip around wallet with Classic Lady Golfer zipper pull. 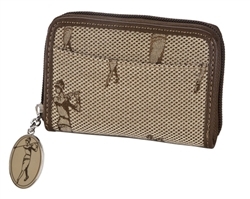 Secure central zippered compartment for cash and other valuables. Interior with credit card slots. Outer slip pocket for easy storage access to less valuables.